The above dimensions are of the rack “basket” and exclude the legs. Leg are 3.5” long (they attach to the side rails of the General bed). Chainsaw Bracket machined out of solid high density polyethylene for maximum durability. 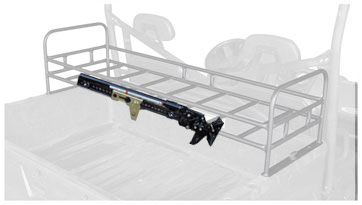 Mount your chainsaw vertically for simple safe transport.� Bracket includes all installation hardware to mount it on Ranger Bed Rails, RZR Racks, and Wolverine Rack.. Tool-less installation. Made in the USA. The Hornet Rifle Scabbard Boot Mount comes complete with the quick attach hardware and the Scabbard Boot Mount (does not include the scabbard) that fits standard Kolpin and Polaris brand rifle scabbards. 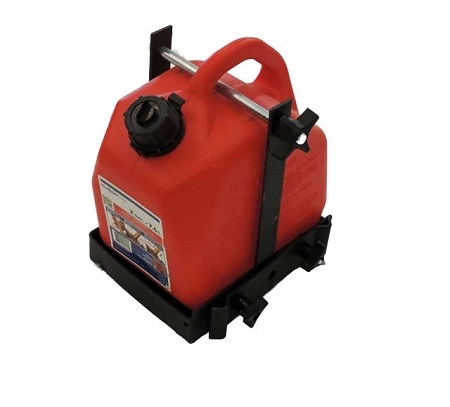 Easy to carry a little extra fuel with the Hornet Fuel Can and Bracket.� Includes 2 gallon CARB/CRC Fuel Can and all hardware for tool-less installation. 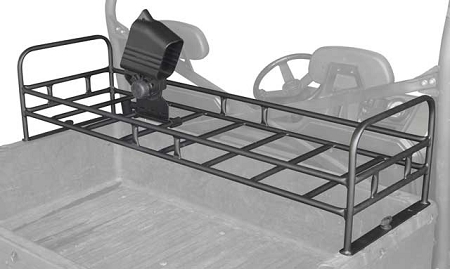 The Fuel Can mounts to Hornet Bed Racks and Rail systems. Prepare your machine for the unexpected. 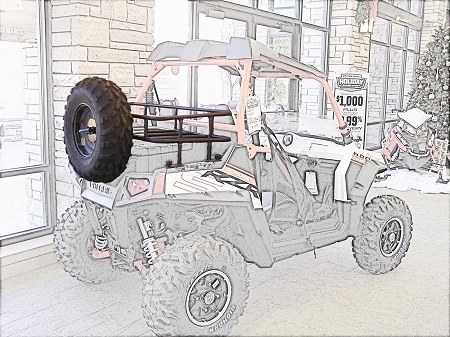 36" Hi Lift Brand UTV Jack and Hornet mount are included so you can install the jack to nearly any Hornet Rack. 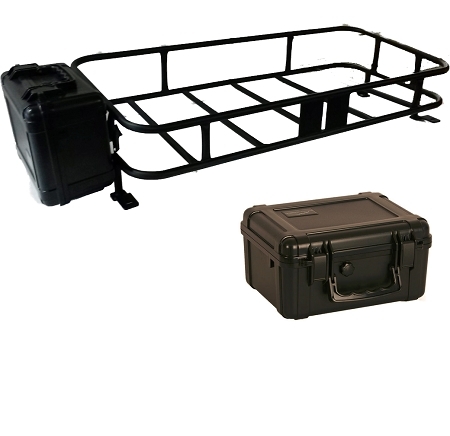 Tool-less installation of your spare tire on the back of Hornet Racks. Keep your valuables safe and protected with the Hornet Watertight Case. The case is USA made with high impact ABS plastic, which makes it durable and long-lasting. Features stainless steel hinge and latch pins, strong snap latches, and two padlock hasps to keep your case secure. Thanks to the water-tight seal, the watertight case will keep your valuables protected even if fully submerged underwater. It has a pressure relief valve that equalizes the pressure inside during high elevation changes. They are crash-proof, so it won't break in case you drop it. This is the perfect case to carry tools, first aid, electronics, or other valuables.